As a thank you for all of your support, I have a pretty cool giveaway for you today, and I’m not gonna lie – this is one that I really, really wish I could enter myself! Open worldwide, this is also a chance for me to showcase a really wonderful Irish product and brand. 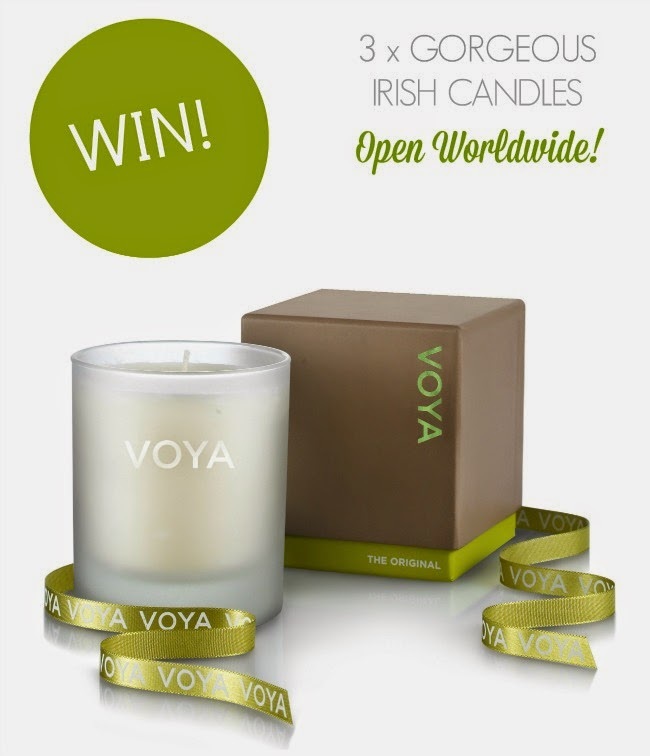 If you watched my video on the best Irish beauty brands you’ll know we do certain things really, really well on this tiny island: one area of expertise is our seriously amazing candles and yet another is our gorgeous, seaweed-based products – with Voya leading the way. Read all about them in my recent Metro Herald column. Now, unlike the brand’s gorgeous skincare products, this candle ain’t seaweed based – it’s made from organic beeswax, soya wax and organic essential oils, including deliciously zesty mandarins and spicy patchouli and cloves. Want to get your hands on one? Of course you do! Just follow the steps in the widget below. This one is open worldwide and each candle is worth €44 so you are in for an AMAZING treat – it’s the closest you’ll come to a luxurious spa experience, in the comfort of your very own home! And if you haven't checked out this morning's post, I'd love if you'd take a few seconds to cast your vote in the BOPS!